In-circuit testing provides electronic manufacturers a reliable, high fault coverage verification method for the assembly process. Circuit Check ICT fixtures are robust, reliable and designed for easy customization to cover a large range of PCB sizes without impacting turnaround time. We stock a large variety of fixture sizes and actuation methods to meet your test demands. If a stocked sized ICT fixture is not adequate our engineering staff will design a custom solution. 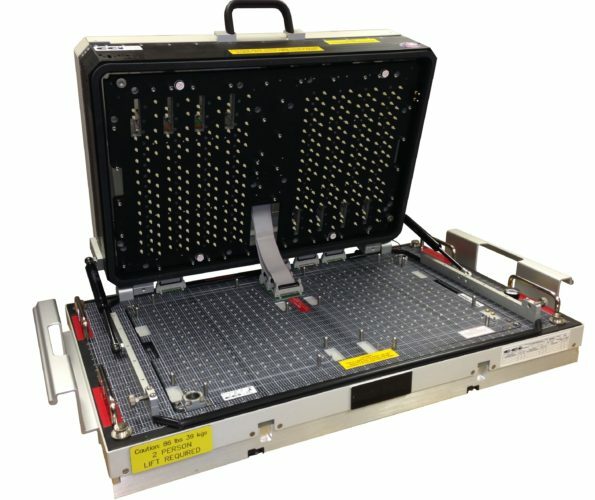 Circuit Check has the right test fixture to match PCB complexity, test requirements and volume.